What Is A Body Sock? More than 40 million people who suffer from prolonged anxiety or have trouble calming down. The sensory body sock is not just for ADHD and Autism anymore, but also could encourage creative movement for your children to improve balance, gross motor skills and proper postural control/positioning by allowing organization in the sensory system and provides deep pressure input. How Does The Body Sock Help? Body Socks work by providing the body with deep pressure input which provides an overall calming effect by increasing endorphin and serotonin production. Endorphin's and serotonin are our bodies natural "feel good" chemicals that provide us with feelings of happiness, security, and relaxation. Who Is The Body Sock Best For? Body socks are great for those who suffer from poor self-regulation or sleep related disturbances due to Autism, Restless Leg Syndrome, insomnia, general anxiety, or anxiety related to bedtime, adoption, or separation, ADD/ADHD, interrupted sleep, or simply need the comfort of space in order to self-regulate. AMAZING SENSORY TOOL - The body sock can be used to reduce anxiety, improve balance and gross motor skills, and more! MULTIPLE PATTERNS - Don't stick with the boring colored designs. 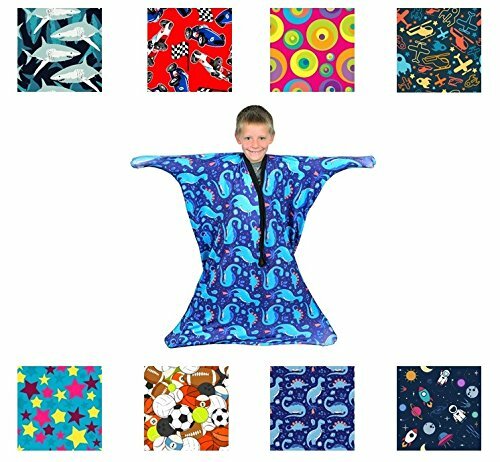 Our collection of patterned designs will make the body sock more fun for your child! HIGH QUALITY FABRIC - The body sock is made out of 85% Polyester and 15% Spandex for extra stretch. The body sock is also machine washable! KIDS LOVE THEM - Have kids of any age try our body socks and they will love them. Once you try one, you will too! If you have any questions about this product by Smart School, contact us by completing and submitting the form below. If you are looking for a specif part number, please include it with your message.